Content marketing: the buzz-term of the moment. So many definitions, so many presentations, so much advice. 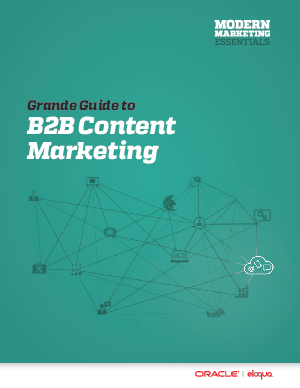 This guide is designed to distill all of that input and provide concise and tested approaches to getting your content marketing efforts up and running, fine tuned, or expanded. It’s penned by the experts who understand that more than a third of everyone’s budget is now going to content creation. But most of that is wasted money. Read the guide now.